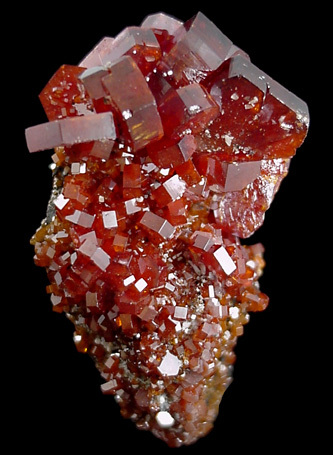 Description: Superb, deep red vanadinite crystals almost completely covering barite crystal matrix. 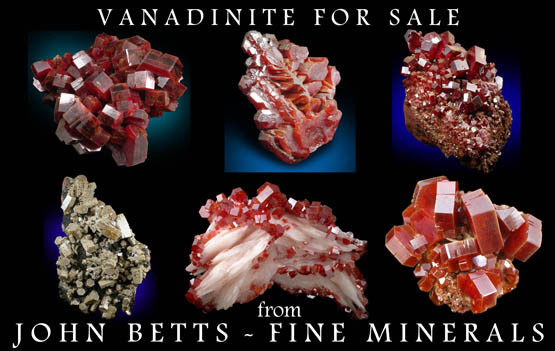 Fully crystallized front and back. 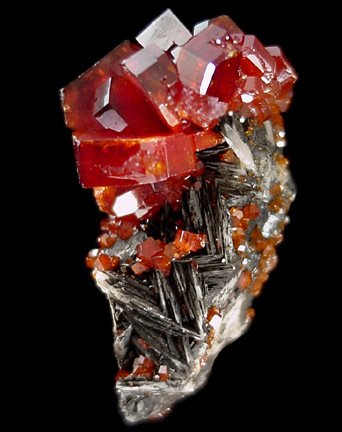 The vanadinite size, color and luster are the best for the species.